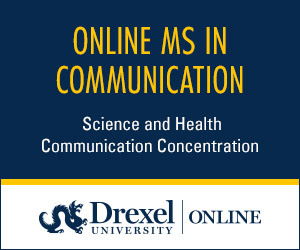 Whether sharing a spectacular shot from a deep-space probe, announcing a development in genetic engineering, or crafting an easy-to-reference list of cancer risk factors, science public information officers, or PIOs, serve as scientific liaisons, connecting academic, nonprofit, government, and other research organizations with the public. And as traditional media outlets cut back on their science coverage, PIOs are becoming a vital source for science news. 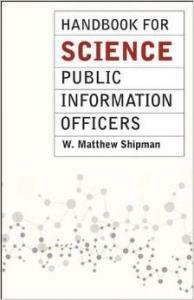 W. Matthew Shipman’s Handbook for Science Public Information Officers covers all aspects of communication strategy and tactics for members of this growing specialty. It includes how to pitch a story, how to train researchers to navigate interviews, how to use social media effectively, and how to respond to a crisis. The handbook offers a wealth of practical advice while teaching science PIOs how to think critically about what they do and how they do it, so that they will be prepared to take advantage of any situation, rather than being overwhelmed by it. For all science communicators — whether they’re starting their careers, crossing over from journalism or the research community, or professional communicators looking to hone their PIO skills — Shipman’s Handbook for Science Public Information Officers will become their go-to reference.